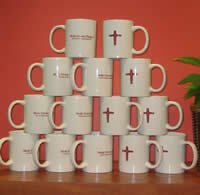 Have You Bought Your Holy Cross Chapel Mug Yet? Want to know more about Opus Dei? Visit this link to view short video clips in which Fr. Michael Barrett addresses common questions about Opus Dei.